Katya Walter has a doctorate with an interdisciplinary emphasis from the University of Texas at Austin. She spent five years of post-doctoral study at the Jung Institute of Zurich, and a year of post-study in China. Dr. Walter taught in colleges and universities in the United States and abroad for 16 years before focusing on writing and lecturing. She has published in the areas of cosmology, chaos theory, social criticism, and poetry. 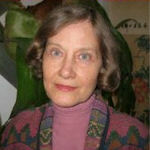 She has given numerous workshops on the I Ching, chaos theory, synchronicity, and dreams in the United States and Europe. Walter is author of the Touching God’s TOE series of books. She also authored an accompanying handbook called Dream Mail designed for contemplating the deeper structure of dreams. It discusses the fractal messages that are carried in the symbolism of dreams and how to interpret dreams for daily life.